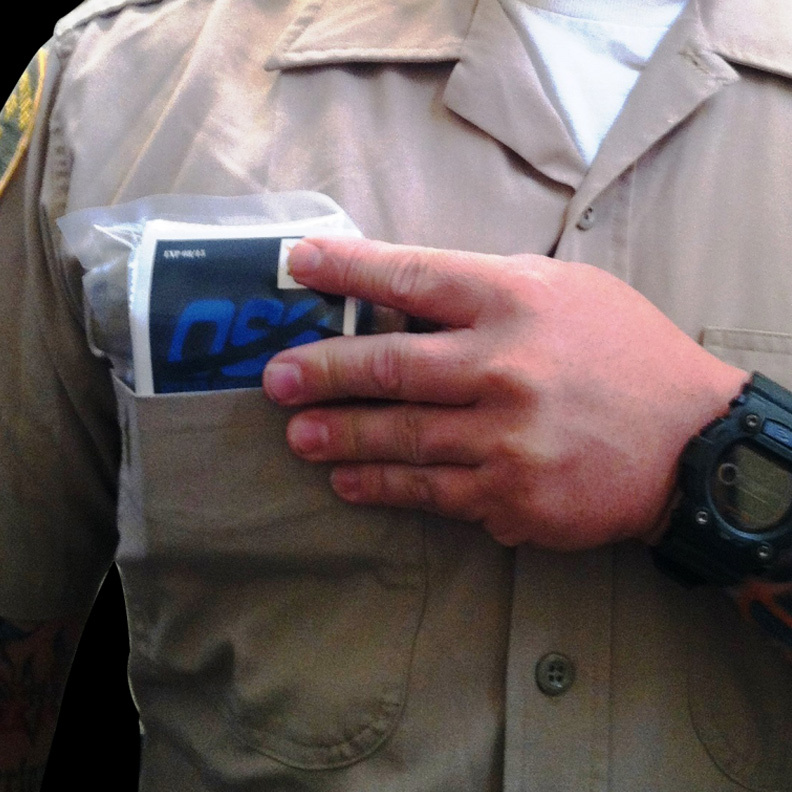 OSS has created the first and only, pocket survival pack designed to fit inside a standard uniform shirt pocket without being obstructive to everyday patrol operations. At a size of 3x5, this vital lifesaving pack fits into any uniform shirt breast pocket yet contains all the advanced medical supplies needed to treat any penetrating trauma injury such as: an arterial gunshot or stab wound. The Patrol Pocket Pack now makes it feasible for every officer to carry a lifesaving kit on there person where it belongs. More than 2/3 of all preventable police officer deaths is due to hemorrhaging ( the officer bleeds to death) this pack will have a direct and immediate impact on these sickening statistics.